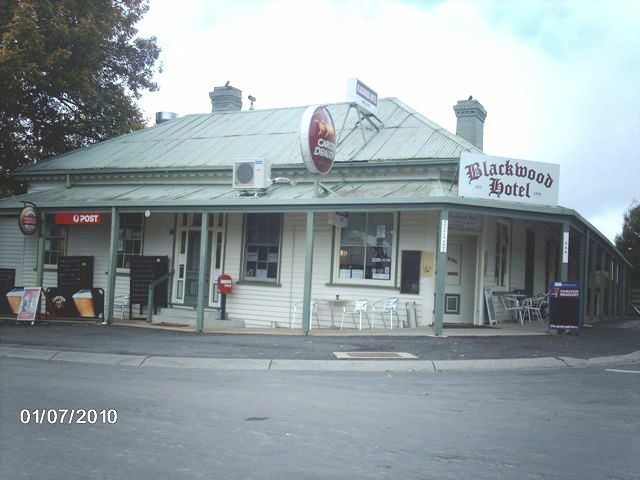 The present Blackwood Hotel stands on land, originally known as Grimes corner on Allotment 1, Section C on the corner of Martin Street and Golden Point Road, Red Hill. The land was bought for Mary Grimes on October 20 1859 for £6.10. Making it the first block of land granted on the Blackwood Goldfield at the first sale of Government land in the area. Bridget Cruise bought the block of land in November 1867, and with a series of big mortgages on this and other blocks, she built up the ‘Family Hotel’. Bridget Cruise had lost her husband, Joseph Cruise when he died in April 1867. 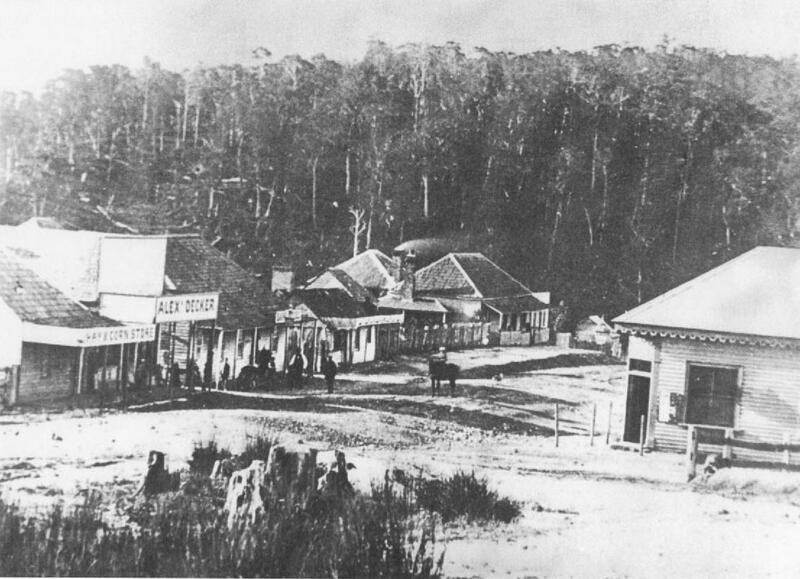 Joseph Cruise had bought the Victoria Hotel in Red Hill (Blackwood) in 1864, which burnt down in December 1867. When this disaster struck Bridget lost all her possessions and her livelihood. Bridget was left with four young children, having lost three other children, whose deaths are some of the earliest tombstones found in the Blackwood Cemetery. 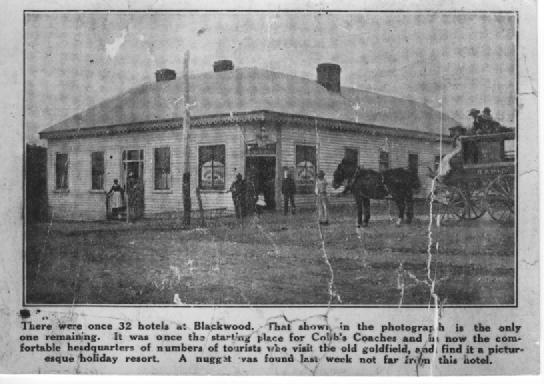 The Bacchus Marsh Express paper of March 21, 1868 states that a handsome hotel is being erected for Mrs Cruise of Red Hill, (Blackwood) with the contractor being Mr Ross and the painting etc. by Mr Henry Greig of Blackwood. Mrs Cruise’s Family Hotel commenced business with an opening ball on September 4 1868 (making the hotel 150 years old this September- 2018 ). 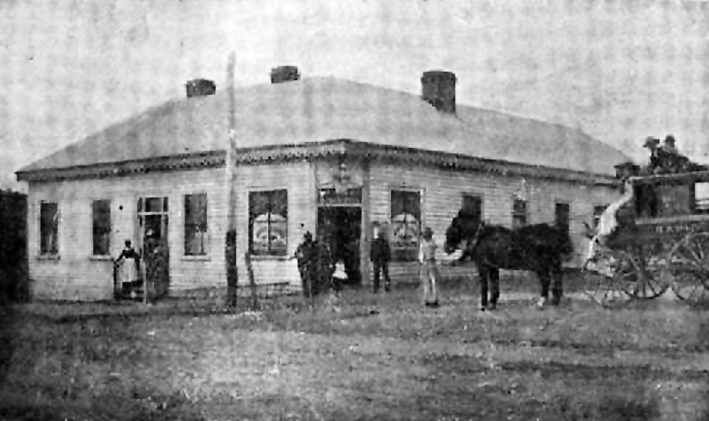 In 1877 the ‘Family’ Hotel was sold to Joshua Vines and John McPhee with John Cann as hotel keeper. The Hotel was a booking office for the Cobb and Co coaches and the main doors into the public bar still have this sign on them today. In 1887 there was known to be a coach shed and stables behind the hotel, and renovations some years ago unearthed some old horse-shoes. Also found under the hotel was a room used by a servant, and a room which was kept as a temporary morgue should a person die accidentally and there had to be an inquest. The body was kept in this room until the magistrate could be sent for from Bacchus Marsh and an inquest held. In 1889 the hotel was sold to John Cann and became known as John Cann’s Family Hotel. In the late 1890’s the verandah which still surrounds the hotel was added. John Cann died in February 1895 at 51 yrs of age, and his widow Rebecca Cann took over as hotel keeper holding the licence until 1907 when she handed it over to her son John William (Bill) Cann. The Hotel today still provides good meals, some of the best warm fires in winter in the bar and a cosy corner in the dining room. Great views and a nice homely atmosphere, where good company and drinks are served night and day. Providing for Blackwood today, some history in one of the oldest buildings still standing in Blackwood. Old photos on the walls provide some history in one of the oldest buildings still standing in Blackwood.